Comments: I was struck by the words at the bottom of this tombstone. 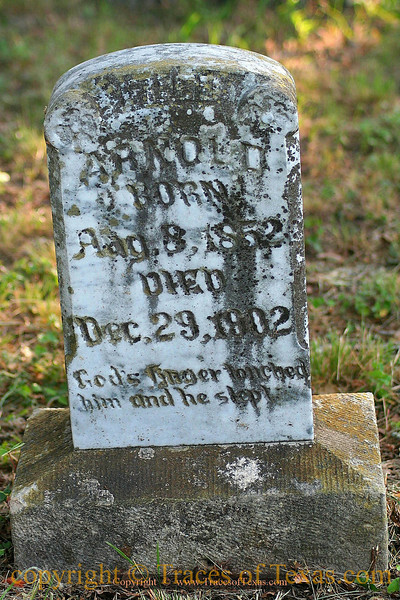 Mr. Arnold lived about 50 years --- from 1852 to 1902 --- and was buried in this small, extremely rural Texas cemetary. 104 years later, I stumbled upon his tombstone. He has not been completely lost to us.